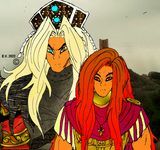 Just wanted to say that I never gave any permission to PedroTheGamer to release a game that is almost exactly the same as Egyptian Dream. Yes, I provided sources of the level which is oubviously a kind of authorization to use them. But I thought it was obvious too that any builder would create his/her own level with them instead of using the whole project, changing little things here and there, breaking almost all the gameplay, and most of all claiming it's his level. If memory serves, PedroTheGamer is no stranger to controversy. And its not just MagPlus that Pedro actively stole stuff from either. There's voiceover files from Max's Ancient Artifact II & PH's Tomb Raider Olkaira levels within the audio files and the general Great Wall level concept/load screen pic has been lifted straight from 911's 'The Great Egyptian Wall' release, with the latter lazily edited to have Pedro's name over it. Well, have you watched him on Youtube? Make of it what you will. 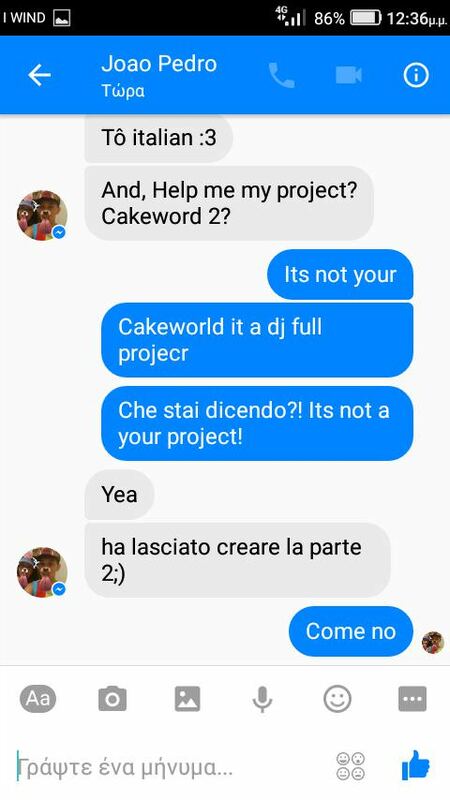 I can tell you that this user contacted me on Facebook asking me to help him in "his" Cakeworld 2... I told him he was a thief, and he tried to justify himself by saying that DJ had given him permission. I would strongly suggest that you contact Michael (or alert him to this thread);put your views across,and see if it's possible for him to remove the level in question from the Index. It's all very well to hope that players might punish Pedro with low scores and condemnatory reviews;but there may be some who, unfamiliar with your original work,might very well praise and reward him with high scores. Well, I can only agree with the points made, and in the old days when I played levels more actively myself, I might have caught this even before the actual release. Having said that, I am fine removing the level, IF you strongly feel this should be done, Pascal, but on the other hand, I would rather leave it be as an example of what should NOT be done, as you can already see the initial reviews giving the builder the credit he deserves, ie very little to none, for this "work". Oh, come on. That’s just the completist speaking. We all know you’re better than that. The feedback to his first level hasn't stopped him doing this. Chances are high he will release more of these abominations. As I said, I provided sources which means that everyone can use them to create his/her own level. Everyone is free to use the textures, Wad, audios and PRJ. I also agree that everyone is free to release a level that is a remake of another one. But in this case, at least, it should be said somewhere "IT IS A REMAKE OF", well I think so. I didn't know that because I didn't play these levels. But, why am I not surprised ? ... and he tried to justify himself by saying that DJ had given him permission. After reading DJ's review for the level, I believe you And I'm wondering if this review is ironic or really objective. but there may be some who, unfamiliar with your original work,might very well praise and reward him with high scores. I'm not used to tell people what to do, especialy in this case. That's why I simply alerted people on this forum. Yet, if removing the level could make him understand what not to do in the future, it could be a good solution. So it's up to you. I'll use the walkthrough I wrote for Egyptian Dream - Tutorial and see how efficiently it takes me through this "remake." I note in passing that Pascal's level consists of a frugal 28.20 MB, whereas the "remake" takes up 175 MB. I assume this is attributable to sound file bloat. This guy gets more attention than I have ever had with my levels. It seems that throwing rubbish into the trle community makes you kind of famous. I agree... I banned him on FB after insulting him due to the attribution of paternity of Cakeworld. I wanted to slap him with rage. It should be banned for me. I won't hide it, but these little trolls have gotten tired.